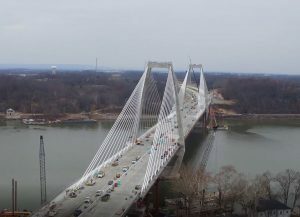 Click on the link above or the icon to download December 2016 b-roll footage of the Lewis and Clark Bridge opening. Click on the link above or on the icon to download December 2016 b-roll footage of the East End Crossing. 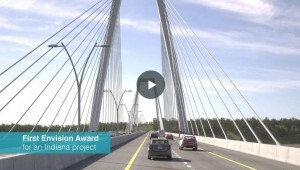 Click on the link above or on the icon to download a video about the East End Crossing receiving the Envision® Platinum Sustainability Award. Click on the link above or on the icon to download footage of the historic Drumanard property for sale in Eastern Jefferson County. Click on the link above or on the icon to download footage of the historic Rosewell property for sale in Prospect, Ky.
Click on the link above or on the icon to download the 2016 East End Crossing aerial footage.